Dog Training by Patty King, Newnan, Georgia. Obedience, Conformation, Rally, Puppy Kindergarten, Agility, Behavior. Group and Private Lessons. I highly recommend NuVet Supplement. 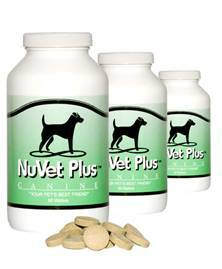 NuVet Plus can help heal and protect against the ravages of free radicals that attach your pet throughtout its life. Click on the image to see more information! !